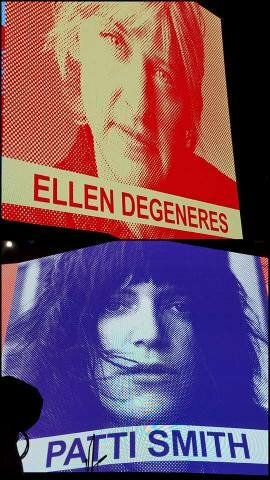 Ellen you just got to love her. She is a great talk show host and a very funny lady. For U2 to have her on the screen they must love her to.